A comprehensive field guide to identifying all 378 species of mammals known in Australia. The book uses classic field-guide layout, and each two page spread provides all the information needed to make an identification. 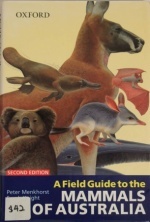 The guide's features include: a full colour illustration of the entire animal, a distribution map, and species description and measurements, including details of how to differentiate between similar species. 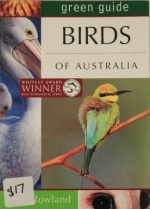 The 'Australian Green Guides' have been created for wildlife enthusiasts of all ages. The most commonly asked questions are answered with particular emphasis on fascinating behavioural insights into both common and unusual creatures. The pages are alive with entertaining and informative text accompanied by exciting action photography. Mammals inhabit every corner of our vast continent, yet the great majority of species are seldom seen. 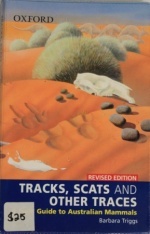 In this volume, Barbara Triggs provides all information needed to identify mammals anywhere in Australia, using only the tracks or other signs they leave behind. Covers all Australian states and territories.